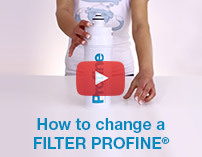 PROFINE® ICE has a first filtration and adsorbent stage made with 0.5 μm carbon block technology, that eliminates unpleasant odours and tastes and imparts a bacteriostatic action through silver ions. An anti-limescale final stage provides protection against limescale precipitation even at low temperatures as in ice production systems. For production of bright ice with bacteriostatic dechlorative action and limestone reduction. 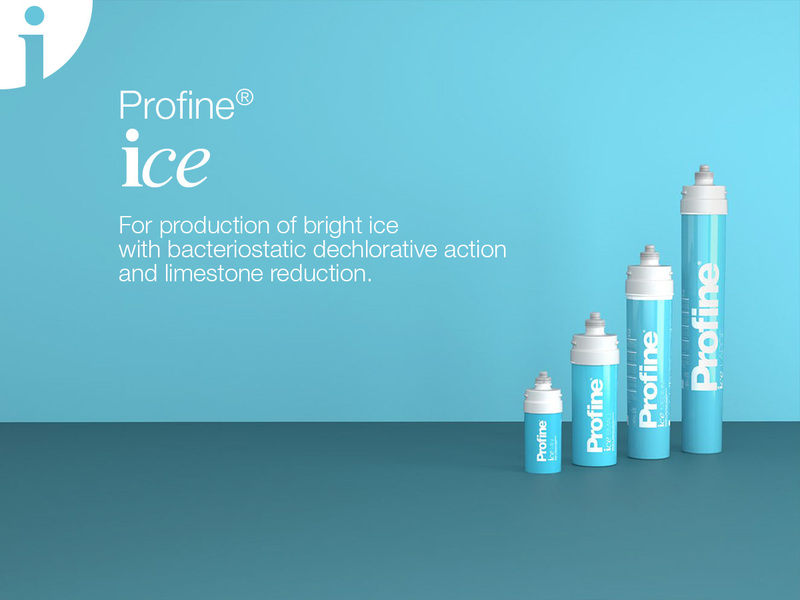 PROFINE® ICE refines the drinking water by neutralizing the action of limestone, allowing the formation of a transparent and bright ice that, once immersed in the drinks, it becomes weightless, incorporeal and evanescent. At the same time it guarantees operational efficiency and extends the life of the equipment. 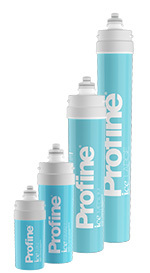 Profine® ICE Large cartridge, internal tests have shown a range of 45000 l.
We recommend replacing the cartridge at the end of its nominal life, or if the outflow is too slow. However, the cartridge must be replaced within 365 days of its installation. Before removing the cartridge, close the inlet water valve and remove the pressure in the circuit by opening the downstream tap. Open the inlet valve and supply water for at least 5 minutes to activate the new cartridge.